The concept of tweeting is easy, to say the least. Anyone can type anything within a span of two to three seconds and press the “tweet” button. However, the concept of sending a clickable tweet may be an entirely different story. What is a clickable tweet? It is a tweet that contains a link. Since links point to some place on the web and they allow for the click, it would be a “clickable tweet.” Fortunately, there is hope for your clickable tweet. 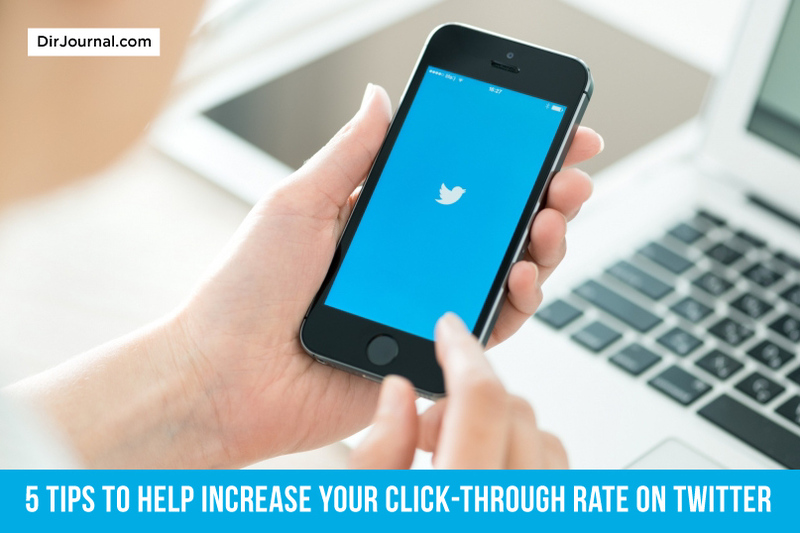 There are ways to increase your click-through rate on Twitter by considering a few tips or principlesb when using Twitter. Before we look at the tips, let’s talk about tweets. If you do not have a link in your tweet, the general idea is that you are initiating (or responding) to a conversation on Twitter. The other concept is that you may be “broadcasting.” Broadcasting can take several forms, including quotes and images with quotes. There is not necessarily an expectation. Though, people generally broadcast to build their brand and build their following. The idea, using quotes as an example, is that the audience enjoys what they read and RTs (retweets) the quote or image and by doing so, builds the notoriety of the original tweep (the person who tweeted the quote). The clickable tweet is another story. That can be as basic as an advertisement to “come see this” (which is whatever that link points the viewer/receiver to visit). You are probably saying, “Wait! That is not the definition that I have heard for ‘Clickable Tweet! '” If that is the case, you would be correct. You see, it depends on how you define clickable. Are you defining it as ANY click on the tweet? That would be the case of watching the Twitter stream and stopping to interact with a tweet. You see, I personally call that interacting with a tweet. That would include clicking on the tweet itself to read it again; clicking on the person who tweeted it to see who they are (and maybe follow them); clicking on the hashtag to see who else is using that hashtag; clicking on anyone mentioned, to see who they are; retweeting the tweet; etc. Ok, now that we have discussed all that, let’s see how we can increase the click-throughs to YOUR stuff online. And, in fact, these tips can help you with those branding tweets, too, in some cases. There are a couple of different reasons why you want to keep your tweets less than 140 characters. One of the primary reasons relates to click-through indirectly. However, it has proven to be important even if it isn’t a direct reason. What am I talking about here? Glad you asked! Think about this. If you are going to do one of those old-fashioned RT (retweets), you cannot fit your own Twitter handle/username if there are 140 characters. There simply is no room left over after the RT and the handle! Granted, to do so is a manual process, but there are still people who prefer the method. So, why not make it easy on them and not force them to replace the “your” with “ur” and “and” with “&,” if they don’t want to do that. In other words, KEEP IT SIMPLE! Vistually-speaking, it is more appealing when the tweet doesn’t look like it fills up all the available space and that also contributes to the appeal. So, go for it.. increase that click-through with that appealing [shorter] tweet! Everyone knows that hashtags are great when it comes to expanding your exposure for your tweets. However, they can help you get more engagement as well. “But wait!” you say. “We are talking about advertising our ‘stuff,’ and our links to our blogs and you switched gears on us and going back to broadcast tweets!” True, but this is where there is a bit of a crossover. It is true… In this article, we are going for the click on the link. But, it doesn’t hurt to also include hashtags that will bring your tweet into relevant communities and topics. So, if you have a tweet that has a link to your blog article about dogs, and you include #ILoveDogs, you may get the click on the hashtag instead of your blog article (secondary goal, not primary goal), but you may also garner a larger audience as the people who are NOT following you find you through the hashtag #ILoveDogs. And, the idea is that you get BOTH clicks (hopefully). Tip #4: Don’t Forget the High-Quality Images! Another great way you can increase your click-through rate is to use high quality images that are relevant to the link you have in your tweets. Use tools like Canva to create eye-catching images that will grab the attention. Of course, Twitter Cards are also a primo way to get the click! Whatever you decide to call it, whether anything that is clickable is clickable (which makes sense) or you grasp the broadcast/branding tweet or decide to call it something completely different, you have some easy-to-apply tips here that you can start using even today. Go for it and get those clicks!